President Buhari said Nigerians reserve the right to elect leaders at various levels in 2019 and all efforts would be made to safeguard the integrity of the process. President Muhammadu Buhari has, again, assured the international community that the 2019 elections will reflect the will of the Nigerian people. Buhari said he understands the yearnings of Nigerians and strongly believes in the collective dream for a greater country. He gave the assurance when he received a Letter of Credence from Ambassador of Finland to Nigeria, Dr. Jyrki Juhani Pulkkinen, in to a statement by his Special Adviser on Media and Publicity, Femi Adesina. “I respect the people’s feelings; I assure all that we will have free and fair elections next year,” Buhari said. He congratulated Finland on its 101 independence anniversary on December 6 and commended the growing relations with Nigeria, especially in areas of Information Communication Technology, trade and education. In his remarks, Dr. Pulkkinen said the areas of mutual benefit in relations with Nigeria can be extended to electricity, smart technology and crises management initiatives, and pointed out that he would work hard to improve the trade figures and exchanges. “We will like to contribute to Africa rising, and we know that Nigeria is the biggest country on the continent, so we are very interested in the growth of Nigeria,” he said. 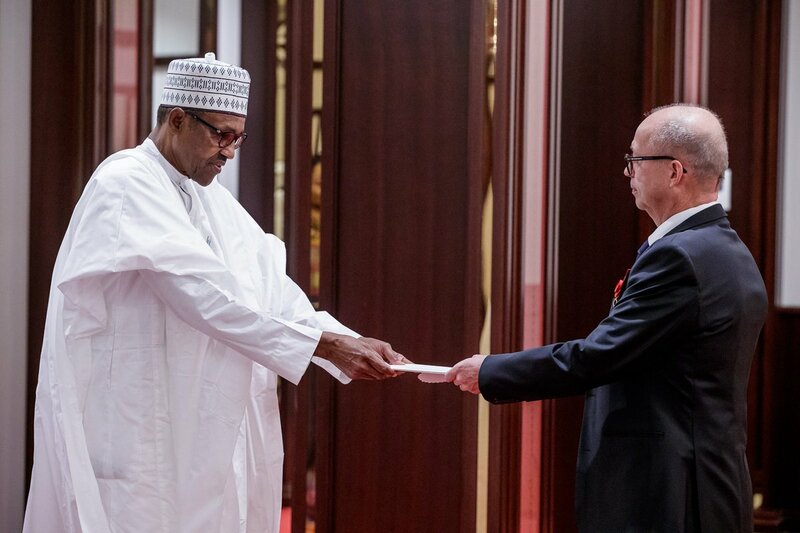 Buhari also received letter of Credence from Ambassador of France, Mr Jerome Pasquier, who said French President, Emmanuel Macron’s visit to Abuja, and the stopover in Lagos, was really impressive in bolstering both countries’ relations. The president said he was impressed with relations between France and its former colonies in Africa, and also, noted that France continues to play positive roles in promoting security and economic growth in the countries. “France is investing so much in Nigeria and we are grateful,” he added.